Screeching saw, “Timber!” strip, chop, trim and hurled. Relieve harm to Gaia as man pollutes. 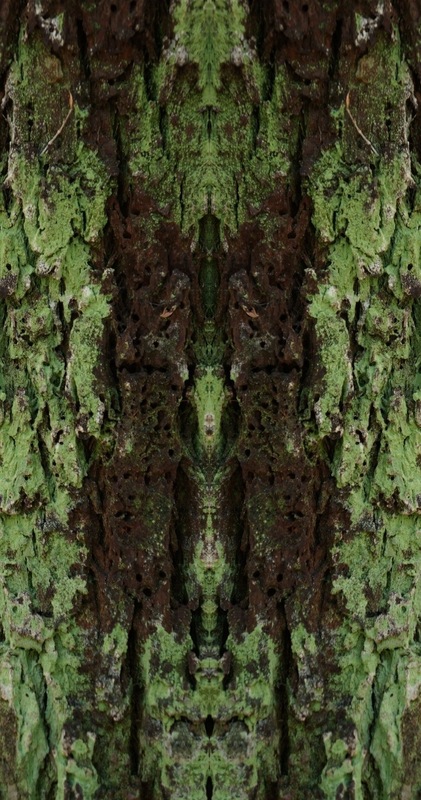 I was inspired to write this poem when I saw what appeared to be a face, spine and pelvis in the mirrored image of moss growing on a tree trunk in Sydney Park. Wonderful. I see the figure. Love the poem . Some things can only be described through verse. I can see the Green Man perfectly. What a stunning, vivid photograph. Thank you for the poem. I can hear and see the forest life you describe as I read it. SoundEagle adores this poem of yours not just for its imagery and clever use of words but also its rhyming scheme(s). For example, in the first stanza, the end-rhymes are almost palindromic. Please peruse SoundEagle’s many poems too since you seem to like rhyming. It is so well done that SoundEagle intends to savour it at least several times all over again, and to sample the message couched in ecology, environmentalism and animism. Never alone…..always the Presence of the living earth!